The Chinese culture will seduce visitors with its dual contemporary and traditional nature. Whilst the country has experienced a modern revolution in recent years, it has still managed to retain its cultural traditions. A harmonious combination of skyscrapers and luxurious car showrooms can be found right next to the Forbidden City, Great Wall of China or the fortified city of Pingyao. 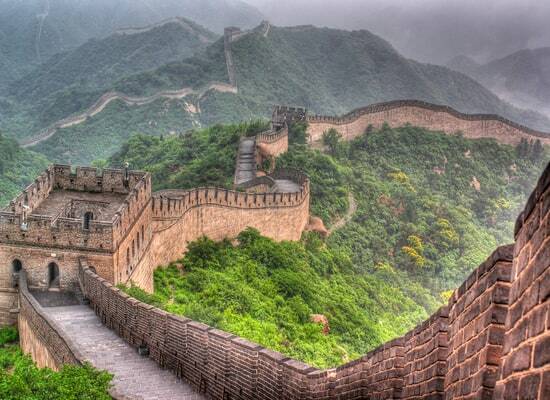 The attractions in China are endless, from the exciting amusement parks to beautiful oriental architecture. If you wish to leave the city, you can take a cruise on the river Yangtze or treat yourself to a hike in Jiangxi with stunning views. China has a comfortable climate through all seasons of the year. In the large cities of China, there are many modern hospitals and private clinics run by doctors from China, the United States and the United Kingdom. Patients are treated according to Western standards, but the clinical fees are particularly high. Clinics can be found in almost every rural village, but provide basic services. Everyone has access to public hospital services in China, including foreign nationals. The consultation fees for public hospitals are low, yet their quality of service can vary according to their location. The quality of services is generally higher in big cities. Access to medicines is easy in China, but always ensure to bring basic medicines with you in a first aid kit. If you need an ambulance, call 120. Is China Safe for Travel? Both, a visa and a passport are required to enter China. The passport must be valid for at least 6 months beyond the date of departure. The acquired visas are multi-entry, therefore you can get up to 10 years of entries with a single one! If entering the Tibet Autonomous Region (TAR), you will require a special permit via a Chinese travel agent. If you enter the region illegally, you will face fines.